The Pattonville High School Student Council is partnering with Make-A-Wish to help a 5-year-old girl's dream to go to Disney World come true. Ryleigh is a Make-A-Wish ambassador and has been diagnosed with a brain tumor. In support of Student Council's goal of raising $5,000 for Ryleigh's wish, the high school is raffling off two large fall athletic banners. Tickets are on sale through Feb. 9 and cost $1 for one ticket, $5 for six tickets or an arm length of tickets for $10. 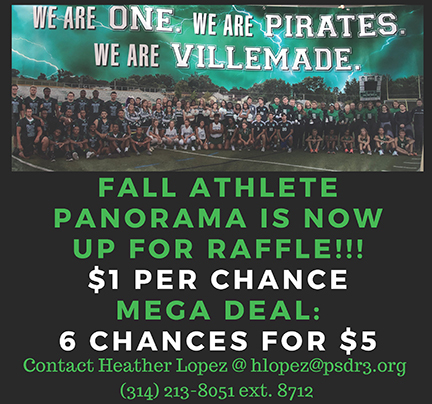 To purchase raffle tickets, contact Heather Lopez at hlopez@psdr3.org or (314) 213-8051, ext. 8712.